Garbe Industrial Real Estate GmbH is developing a new depot in Witten (Ennepe-Ruhr area) for the delivery service provider Hermes Germany. Construction officially commenced today with a symbolic ground-breaking ceremony. In the 5,000-square-metre distribution centre, Hermes will be handling consignments and delivering them to end customers within a radius of about 50 kilometres, to a large extent electrically. Operation is scheduled to begin in June 2019. The hall is being built on a 30,000-square-metre site in the commercial area on Brauckstrasse. The junction to the motorway 448, which connects the western area of Dortmund with Wattenscheid, is just a stone’s throw away. “The traffic connection is optimal and makes the location highly attractive,” says Jan Dietrich Hempel, managing director of Garbe Industrial Real Estate GmbH, pointing out a significant advantage. The central location has also convinced Hermes Germany. The company will use the property as one of 45 nationwide locations where shipments are handled for onward transport to and from end users. For this purpose, the property will be equipped with 63 gates at which trucks and sprinters can dock for loading and unloading. The catchment area covers a radius of about 50 kilometres and extends from Datteln in the north to Lüdenscheid in the south, from Duisburg in the west to Iserlohn in the east. Parking spaces for five trucks, 40 cars, 25 sprinters, and 25 swap bodies are planned on the grounds. During the tendering process, Hermes Germany was supported by the consulting firm Realogis Immobilien Düsseldorf GmbH. “In Witten, we will merge our existing depots in Hagen and Dortmund. This will create 100 jobs locally,” says Romanus Vallieri, General Area Manager, Cologne, at Hermes Germany. “The commissioning of the depot is part of an extensive future program with which we want to accelerate the delivery of parcels and gear our infrastructure towards additional growth.” The state-of-the-art conveying and sorting technology, which the company will install in the hall, will also contribute to this. The sorter from the supplier Lippert has 12 direct loading points and a capacity of up to 10,000 parts per hour. In addition, the new sorter allows energy savings of 15 percent at the same performance rate. Hermes Germany will invest around 16.5 million euros in the property’s technical equipment. 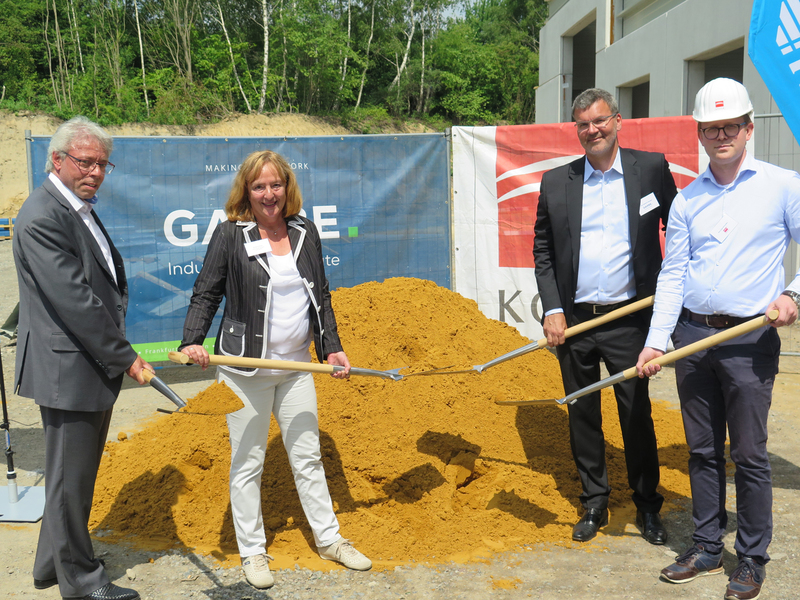 Garbe Industrial Real Estate and Hermes Germany attach great importance to environmental and sustainability aspects during the construction of the depot. The high standards set by Garbe Industrial Real Estate for this project development meet the criteria for the German Sustainable Building Council’s (DGNB) gold certification. In September, another 21,000-square-meter hall will be built on the same site. It is scheduled to be completed in June of next year. It has not yet been decided which logistics company will lease the property. “We are currently in talks with potential tenants,” says Jan Dietrich Hempel. Garbe Industrial Real Estate GmbH is investing approximately 22 million euros in the development of both properties.